Percy William Lumley was entitled to the above three medals; 1914 Star with clasp, British War Medal and the British Victory Medal. The whereabouts of Percey's actual medals is currently unknown. As Percy was born in Sudbury, his name also appears on the Sudbury memorial. 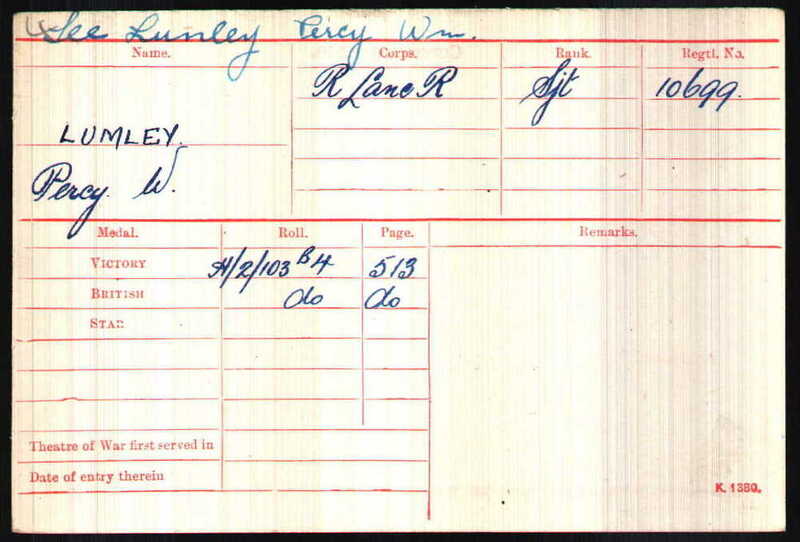 Percy William Lumley was born in Sudbury in 1893. 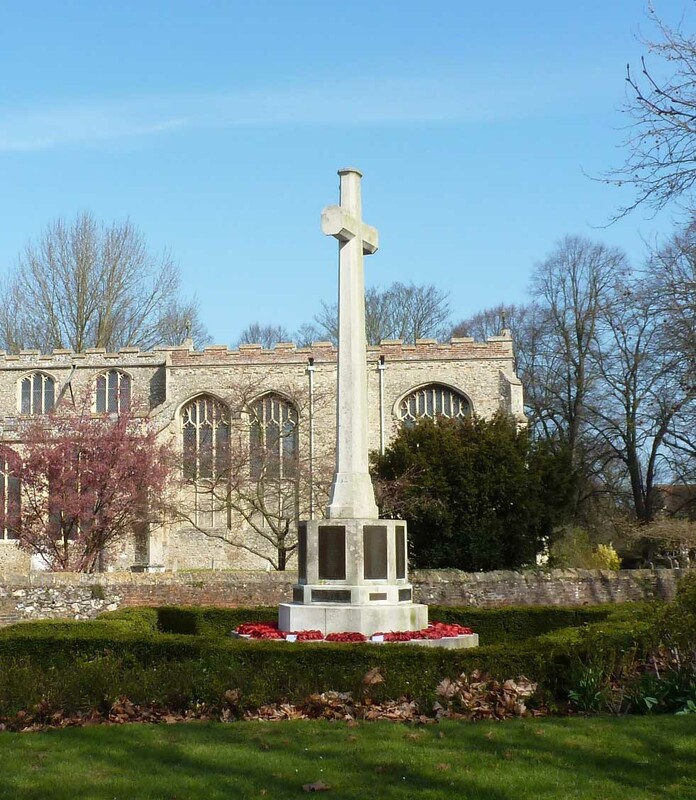 By 1911 he and mother had moved to Hadleigh. His regimental number suggests that he enlisted into the King’s Own Royal Lancaster Regiment following year and was rapidly promoted to Serjeant. 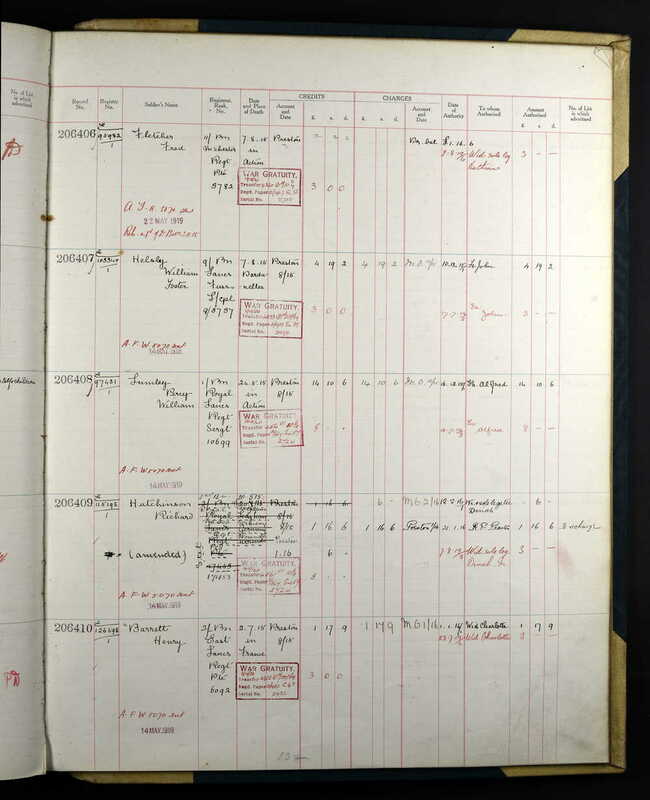 At the outbreak of war they were in barracks at Dover, but by 24 August they had arrived in France and only 2 days later suffered their first casualties. 24th May saw the Battle of Bellewaarde Ridge in the Ypres Salient where the Germans released the largest gas cloud yet seen. The worst of the gas hit the 10th and 12th Brigades of the 4th Division which included the 1st King’s Own Royal Lancaster Regiment who were in trenches at ‘the brickworks’ hamlet of La Brique, just to the north of Ypres, they were behind the front line but in the path of the gas cloud. Also serving with the battalion on that day was Hadleigh man Private Charles Mitchell. Both men were killed in action that day. Both men are commemorated on the Menin Gate in Ypres. By the end of May the actions that became known as the Second Battle of Ypres were over, the town lay in ruins and both sides had fought themselves to a standstill. 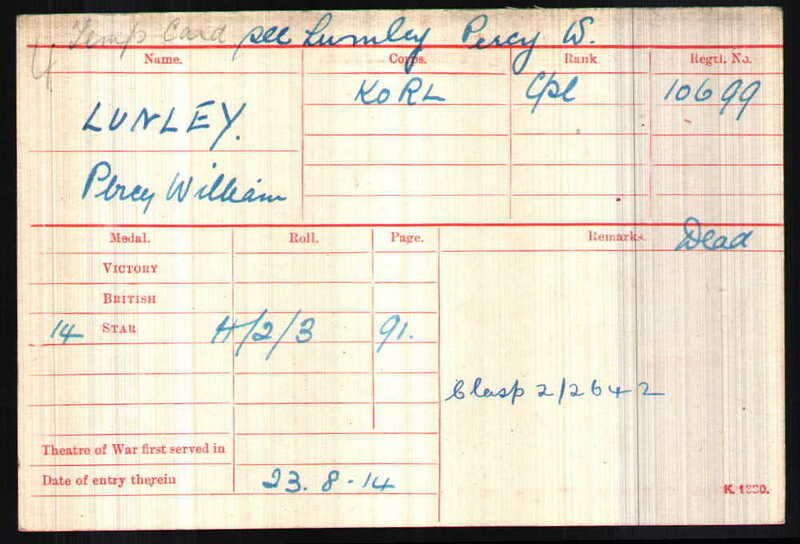 We hope that this page has been able to tell the story of Percy William Lumley. If you know of any information which might help to add to the story then please get in touch.